July 2014-Brooklynn desperately needed a roll-in-shower. She was using a bathtub which was precarious and unsafe for a girl with her disability and limitations. 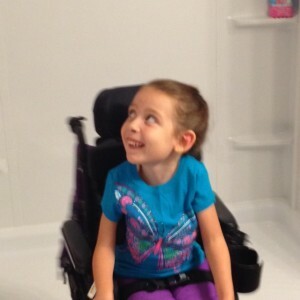 The new roll-in-shower will allow Brooklynn to utilize a special shower chair that is safe and easy to use. 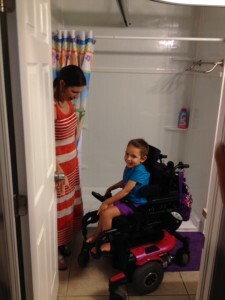 Thanks to the 13 Ugly Men Foundation and Senior Safety Pro along with Wheelchairs 4 Kids, Brooklynn is now enjoying her new shower.